Need Service & Maintenance for your Generator? Quality Professional Service for Industrial, Commercial, and Residential Generators. 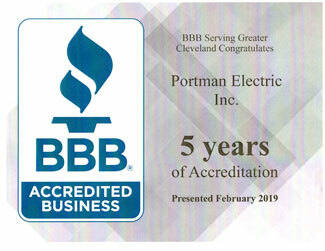 At Ohio Generator Experts serving Cleveland and Northern Ohio areas, we recognize the importance of regularly servicing generators to prevent costly breakdowns and unplanned downtime. All our service work is carried out to the highest standards by our generator technicians, who have extensive knowledge and understanding of our products, as a result of specialized training and practical experience. Our technicians are expertly trained to undertake preventative maintenance, and are well versed in diagnostic techniques. Ohio Generator Experts offer service and repair, warranty and annual maintenance on residential and commercial/industrial generators. Annual maintenance is recommended for optimal performance of the generator and to detect any issues before becoming a problem. Under our maintenance program, our certified technicians do a comprehensive service, which includes changing the oil and oil filter. We inspect the air filter, spark, spark plugs, compression, valve clearance, battery load test, battery charger, transfer switch and output voltage. The technician will also do a test transfer and clean the unit. Any recommendations will be made, if necessary, to ensure peak performance and reliability. We have a wide range of Generac Products and accessories in stock. Let our service team know what you need and they will help get you select the right option for your needs. 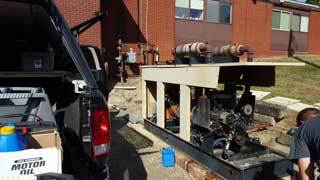 We service any generator make and model with any type of fuel system.